The night before Halloween (October 30th) has traditionally been a night of pranks and mischief in much of the Midwest and some of the northeastern United States, but in Detroit, it's referred to as Devil's Night and has been a tradition almost as long as the city has existed. Devil's Night in Detroit can probably be traced back to mid-1880's Ireland, where the night of mischief was originally attributed to fairies and goblins. In the United States, the holiday morphed into a night of soaping windows and toilet ​papering trees. In other words, October 30th was the “trick” to Halloween’s “treat” and gave suburban kids a night of rebellion and anarchy. Region to region, the night has different names, but the activities remain very much the same: ringing doorbells, egging cars, dumping rotten produce and setting a bag of poop on fire. Camden, New Jersey calls the Holiday Mischief Night, while other parts of New Jersey call it Cabbage Night. Cincinnati, Ohio calls it Damage Night, while other parts of Ohio call it Beggar’s Night. In other regions of the United States, it is known as Doorbell Night, Trick Night, Corn Night, Tick-Tack Night and Goosey Night. In Canada, it is known as either Gate Night or Matt Night. In Detroit and much of Michigan, the night is known infamously as Devil’s Night, a moniker now eternally linked with widespread arson. Devil’s Night was once, however, just a different name for more of the same: mischief. In spite of the notoriety of Devil’s Night, Detroit is not the only city to experience an escalation from pranks to arson on October, 30th. 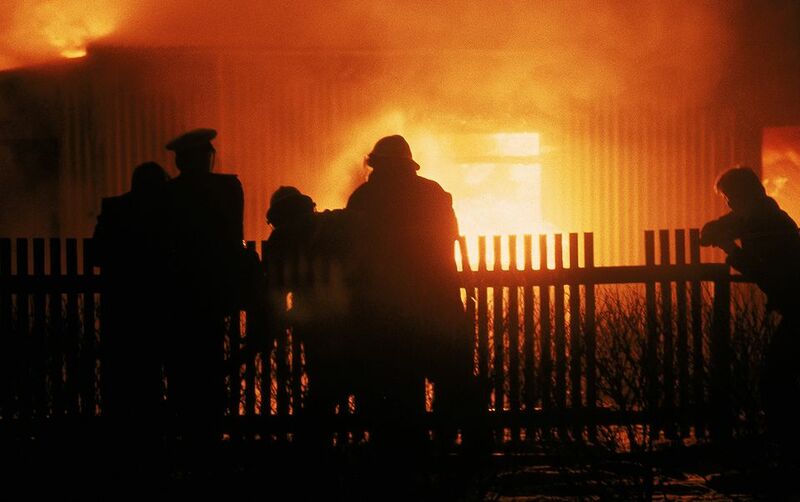 Camden, New Jersey had its own period of Mischief-Night-related arson in the 1990's that easily rivaled Detroit’s. While Detroit has attempted to end the arson, as well as the more innocent mischief, through neighborhood patrols and simply changing the name from Devil’s Night to Angel’s Night, much of the city still celebrate some type of prank-riddled night on October 30th. In fact, in 2017, there were a reported 21 fires in the Detroit metro area that were caused by pranksters trying their hand in the mischief of Devil's Night. If you're traveling to the region during the end of October, it's best to avoid going out after dark on the day before Halloween, especially in the more dangerous neighborhoods. Still, these numbers are down significantly from the height of Devil's night in 1984 when there were a reported 810 fires set across the city, so maybe the rebranding to "Angel's Night" has had an impact on the overall destruction locals cause on October 30 each year. Other city initiatives in recent years including a strict curfew of 8 p.m. to 6 a.m. for 15- and 16-year-old children and a 9 p.m. to 6 a.m. curfew for 17-year-olds who are not accompanied by a legal guardian over the age of 18. Additionally, many firehouses and police stations are now hosting Angel Night events to help distract visitors from causing mischief.